Today is February 14th and it’s Valentine’s Day – a day to celebrate love. I wish I can celebrate with you in person. It’s just a wish, I don’t think I can. Anyways, the Saint Valentine whose act we are celebrating today died several years ago and we are still celebrating this day. He’s not with you in person but you are celebrating. I’m not with you in person but I’ll celebrate this day with you with my valentine gift for you. So, what’s my gift to you? It is “How to Rub shoulders with Aliko Dangote”. Yes, that’s my gift to you. It’s worth more than cakes, cards, roses and all the gifts in red and white packaging. It’s even better than s*x. LOOOOOL. - you suddenly become accepted. - you start going where you’ve never gone before. - you start making friends and having “connections” with powerful people. - you start getting invitations to important events. - you live in places you’ve always dreamed of. - buy the things you previously thought you could never afford. - travel to places you only used to see on TV. - and everybody admires and loves you. That is the dream of everyone who decides to start their own business. Well, if this is you, you’re in luck. 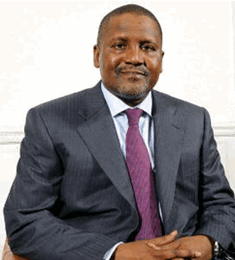 Now you have the chance to more or less “rub shoulders” with Aliko Dangote. No, I don’t mean you’ll meet him personally (who knows, it might happen soon). What I do mean is you’ll discover the very first business idea the man, Aliko Dangote used to launch himself into business. It’s the same business his mother’s family taught him. And which gave him the wealth he needed to control other sectors of the economy and convince politicians to do whatever he wants. The same business they’re all still doing today, even though you won’t read about it in the newspaper. And you know what’s even better? Today, you can do this same business using nothing but a pen, a notepad and an internet connection. Amazing huh? That’s my Val’s gift to you. Instead of paying so much money to learn how to “rub shoulders” with Aliko Dangote, you will be getting it at a ridiculous price on N3,000 only between today February 14th and Friday, February 21st. Please note: The event is coming up in Lagos, Nigeria on Saturday, February 22nd, 2014. Take my Val’s gift to you before the next 7 days. And if you can’t attend the event, we have an arrangement for you not to miss out. So, please make a comment further below and notify me that you won’t be coming and you don’t want to miss out. I’ll reply you with the info about the arrangement we have for you.